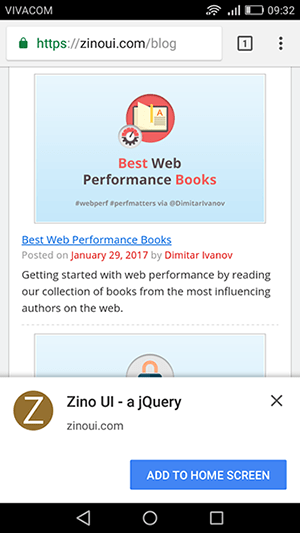 You've may see already web sites that prompt mobile device users to add a Progressive Web App to their home screen. Since this is a new way to engage and retain users, this article will describe how to enable add to home screen. 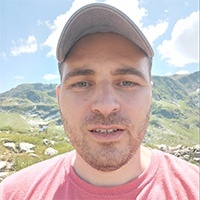 HTTPS - a secure connection. If your have not yet installed a SSL on your web server, you can consider the Let's Encrypt - an open certificate authority that offers free SSL/TLS certificates. Service Worker - a valid service worker must be registered on your website. display - used to customize the display type. Valid values are: fullscreen, standalone, minimal-ui, browser. 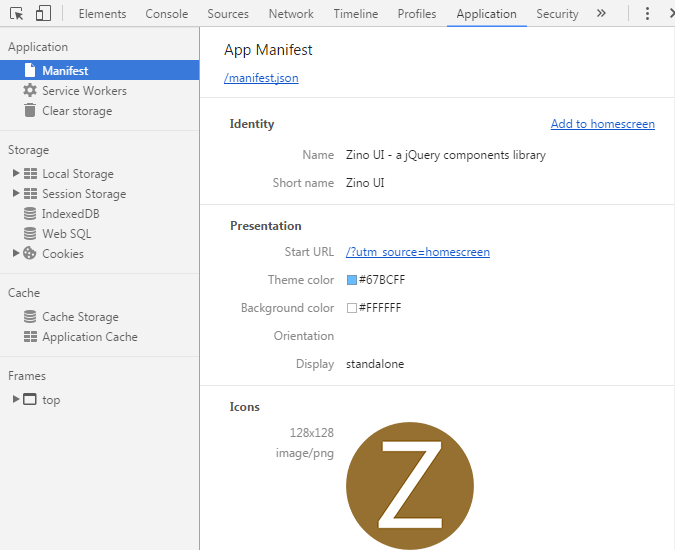 orientation - defines the default orientation of your app. Orientation may be one of the following values: any, natural, landscape, landscape-primary, landscape-secondary, portrait, portrait-primary, portrait-secondary. To make a user's browser knows about your manifest add a HTML link element to all of your web pages. To test the manifest open the Chrome DevTools and go to Application / Manifest. There you can see a preview of your manifest as shown below. To install banner on mobile devices the web app must register a service worker as shown below. 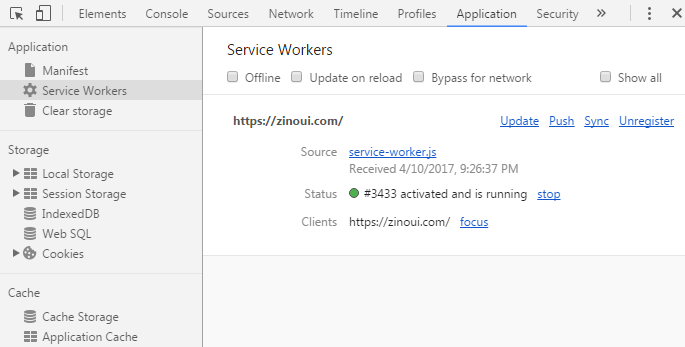 To see if the service worker is installed correctly open again the Chrome DevTools and go to Application / Service Workers. There you can see the service worker status and all the running clients. Finally, the web app install banner is a good way to engage and retain users on mobile devices and an important part of a Progressive Web Apps. If you have questions about Web App Install Banner, leave a comment below. And do not be shy to share this article. Thanks so much for reading! Why must we have HTTPS for it? Can't do it without HTTPS? The reason is that the service workers only run over HTTPS, for security reasons. However, during development, you'll be able to use service worker through localhost. Does it work on localhost if service-worker.js file is empty. Because i am trying on localhost and i can see service-worker and manifest is registered perfectly but still i didn't get the install banner.